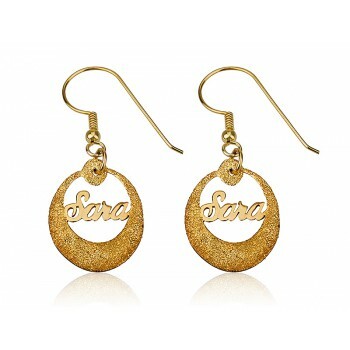 Earrings are the favorite accessory for women in jewelry items and knowing this, the store Personalized Jewellery offers prestige collection of earrings. Make your wardrobe shine with these earrings to amp up your unique look. 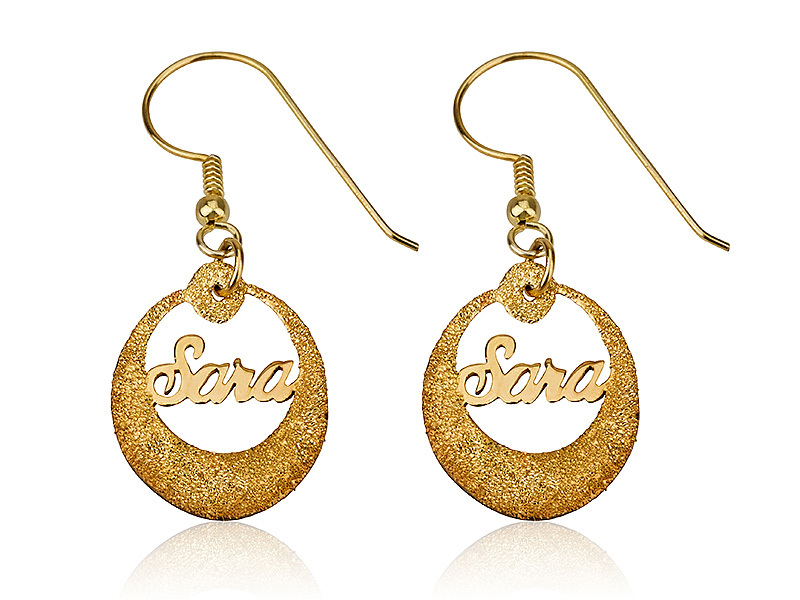 The exclusivity of this 18k Solid Gold Round Circle Sparkling Name Earrings is in delicate design that appeals to every woman. 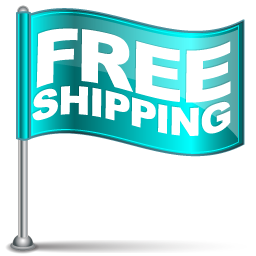 Get this customized earrings shipped in a gift box with a Personalized greeting card anywhere around the globe free of charge upon purchase. (greeting cards sent upon request only). 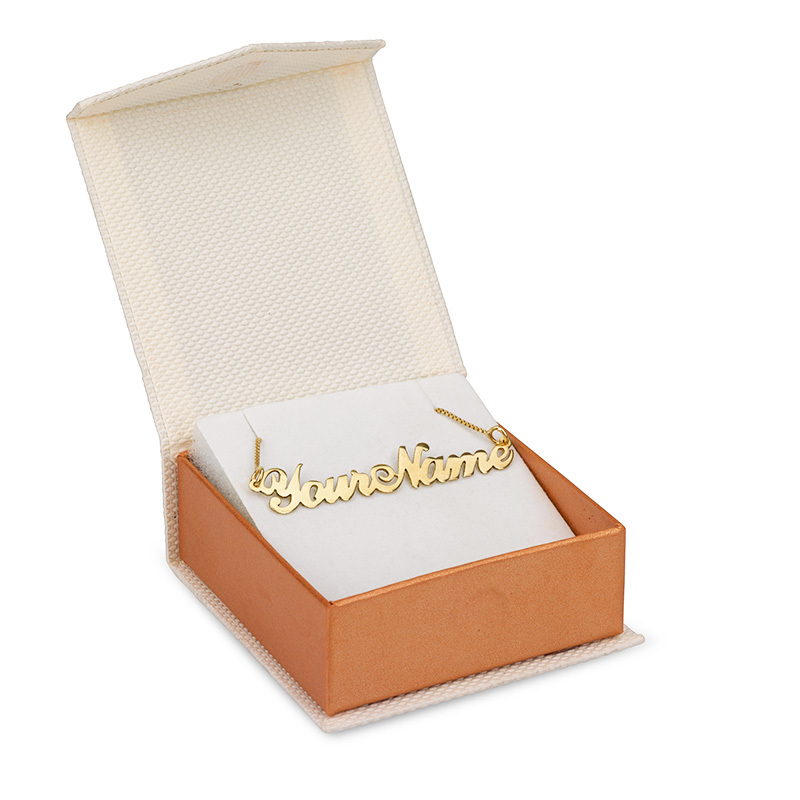 We send 14k Solid Yellow gold chain and not 18k solid yellow gold, there isn't any color difference between 14k and 18k.